Have we found any 'writing instruments' that could have been used to paint or etch materials? This fragment of a mold used for making large storage jars with three pre-firing graffiti signs. Such symbols may have served to indicate the name of the owner rather than just being abstract symbols. Harappa, ca. 2600 BCE, discovered in the late 1990s. As Iravatham Mahadevan points out, archaeological evidence makes it inconceivable that IVC's large, well-administered and sophisticated trading society would have functioned without effective long-distance communication. Unlike the clay tablets of Mesopotamia, no written records were discovered from Indus Valley sites except seals. The people of IVC might have written on cotton cloth, leaves, bark or hide which would have decayed by now, leaving no trace. I am not aware of any writing instrument being found at the Harappan sites. If they had used wooden brush and wooden boards or cotton cloth for writing, these would have perished. The stone seals are of course engraved with the help of small copper chisels and drills some of which have been found. I have discussed these questions in papers published in Airavati (Mahadevan Festschrift, 2008) and in Scripta 1 (2009). 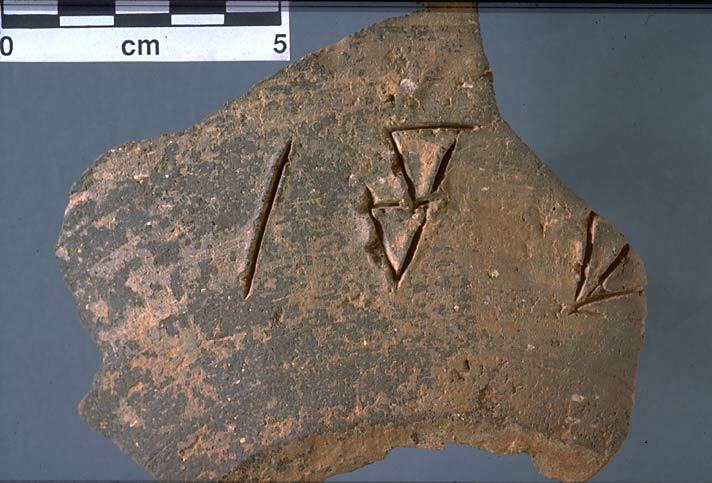 Painting or writing instruments as such have not been identified with certainty in the archaeological record, but as we have script signs painted and scratched on potsherds, for example, tools with which they were painted and scratched must have existed.